As Canadians embrace for a tough winter season, it has become that much more crucial to get warm winter coats. It is even better when you can show support for a good cause, especially during the holiday season. Wully Outerwear is a recently founded company that specializes in winter coat making with a positive twist. The company officially launched in December of 2015, after an idea struck co-founder, James Yurichuk. Originally from the west, Yurichuk didn’t need an outerwear jacket as much as he did living in Toronto. So, when he moved to Toronto from Vancouver, he noticed an abundance of fur-trim parkas that were a threat to wildlife. Anthony DeBartolo, the other co-founder of Wully outerwear, describes Yurichuk as the kind of guy who showed special kindness to living things, “If there’s a spider in the house, he'd just take it outside. He wouldn't kill it." Yurichuk’s growing concern for protecting wildlife lit a fire under him to create an alternative; to have a premium outerwear jacket that can completely be animal-free. The idea behind teaming up with APFA, explains Michael Hibberd, the chief operating officer at Wully, is to advocate on behalf of fur-bearing animals and also because it hits so close to home, operating exclusively within Canada. In the marketing world, Wully Outerwear is breaking away from the pre-existing pattern of trapping animals and is instead using animal-free materials to send an important, positive message: Co-existence with fur-bearing animals is possible and non-lethal solutions to human/wildlife conflicts are effective. “It's such an important cause to support, and it's crucial to educate people on what fur-bearing animals endure in this country,” Hibberd explains. According to a study conducted by Statistics Canada in 2012, Canadian fur farms witnessed the birth of 8,540 foxes and 2,971,200 mink. Of that number, 8,120 foxes and 2,804,800 mink were killed and their pelts were harvested. Currently, the four main styles that Wully Outerwear carries is the alpha line, consisting of two parkas; the Elk parka made for men and the Doe parka made for women. As well as two reversible bombers for both male and female. The black and red buffalo plaid, the signature jacket liner, is known as "Canadian plaid". This pattern is a recognizable pattern meant to represent the great White North, explains DeBartolo. The designs are credited to both Yurichuk and DeBartolo who went about making the jackets to be best performing from a functional standpoint while also being stylish, but DeBartolo says that their biggest inspiration comes from animals and wildlife in general. “As the brand grows, organically we're going to be adding products for sure,” says DeBartolo. 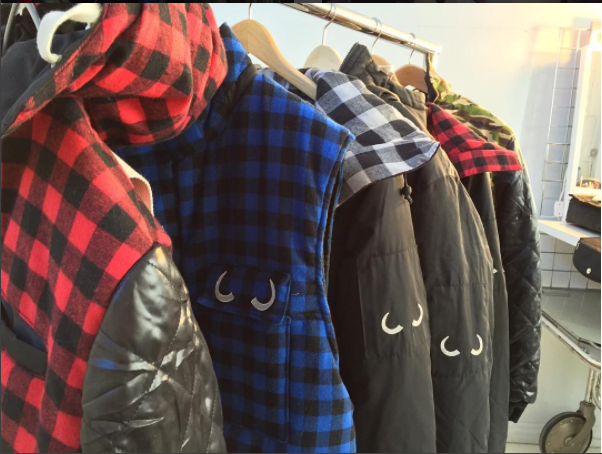 Eventually, Hibberd says, they are hoping to include an expansion on their jacket line and then dabbing into accessories such as hats, gloves and scarves. There’s been a lot of change in various industries lately, and companies are playing a huge role in that, “It’s important for companies to challenge themselves and challenge each other to make sure they have the values they want to see replicated in society,” added Hibberd. It’s very important for companies to be creative disruptors, and Wully Outerwear is aiming for exactly that. This piece was edited by Krizia Ramos, Co-Fashion Editor of CanCulture.